Walking & running, are no doubt, two of the top best cardio exercises. Calorie burn rate While running is really high, as high as 600 calorie an hour. The best thing about walking and running is that you can do it inside your home. Now with a treadmill inside your room, you can watch a movie or talk with your family & get fit at the same time. That’s what make these exercises the best choice for a busy person. For more extreme cardio, treadmill along with a cycling machines will work like a charm. 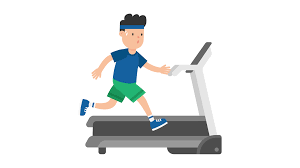 Now treadmill is not only for running and walking, you can do many other combination exercises like side shuffle, incline push up, walking lunges etc also. Working people in cities & urban areas, with their busy schedule, get very less time to take care of health. Adding insult to injury, they follow unhealthy diet and lifestyle. Many people have realised this trend. To escape from this situation & to become fit and healthy, people take membership in gyms but fail to attend regularly. Best tredmill brands in India, especially with strong online presence are Kobo, Nordictrack, Powermax, Durafit, BH fitness, Quantico, Cockato, Energie Fitness etc. Based on working mechanics of a treadmill we can say there is 3 main types. Manual, motorised and combination of previous two. Motorised one will be more smooth and it need less effort to start moving. First of all stability, belt size, control panel, make material & durability are the most important things to check before buying a walking/running machine. Following are some other tips to find the best one for you. 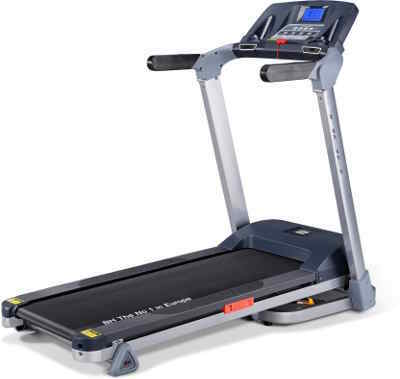 treadmills that more are sturdy and with advanced features. People of any age can use a treadmill comfortably. Spending money on treadmill is really worth if there are 2 or more than 2 people who will be using it in the house. 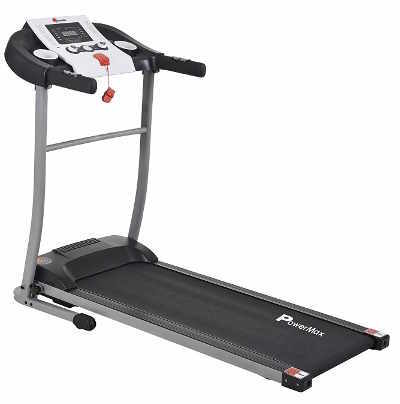 If you have a limited budget then buying a treadmill under 10000 rupees makes more sense. Purchasing second-hand treadmill also makes sense because people sell them after losing motivation to make space in house . Also treadmill as a machine it requires regular maintenance. You need to check whether the maintenance cost of the treadmill is affordable. There is also the setting-up and logistics cost involved sometimes which can be bargained. 2. Horsepower – If you are buying a Motorised one, You need to check more technical aspects of treadmill before buying it. If your weight is more than average, then you need to purchase a treadmill with more horsepower which normally ranges between 2.5-3.00. 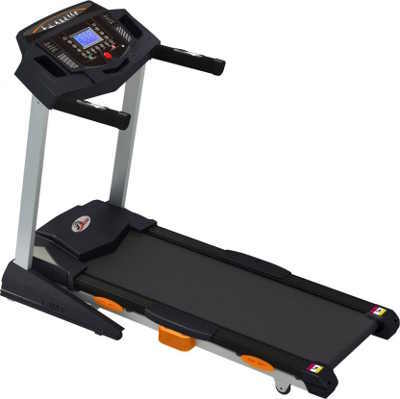 If the treadmill is used lesser number of times & weight of regular user is less, then you can purchase a treadmill which has lesser Horsepower. Other technical aspects include – Belt-size, speed, Heart-rate monitor, control panel, incline etc. 3. 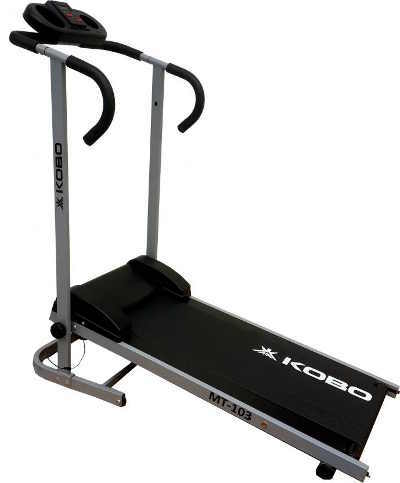 Work-out pattern – Your work-out pattern plays an important role while purchasing the tread-mill. Suppose you are a runner then you will take longer strides. In that case, you will need to purchase which has longer track size. For jogging and normal walking the track size can be small. 4. Space – Before purchasing the treadmill, you need to decide about where it will be placed. If your rooms are compact in size then it would be difficult to place the equipment inside the house. You need to have dedicated space where the equipment can be placed. 5. Trial – You need to do a trial on the treadmill before purchasing it. It will give you an idea about your comfort level with the machine. 6. Add on features – You need to check if the treadmill has add-on features like place to keep the music-holder, drink-holder where you can keep the water-bottle etc. 7. Warranty – Nowadays, almost every electronic machine comes with a warranty. You need to check if the treadmill has a warranty and for how many years. If you are buying an expensive exercising machine then it should have a warranty of at least 10 years. 8. 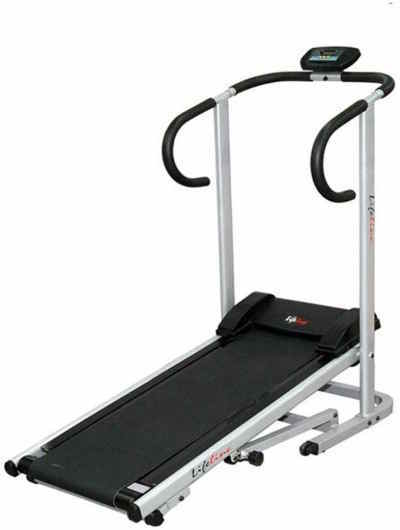 Capacity of treadmill – You need to consider your body-structure as well before buying a treadmill. Fitness experts, normally recommend a treadmill which can hold 50 pounds extra then your total body weight. 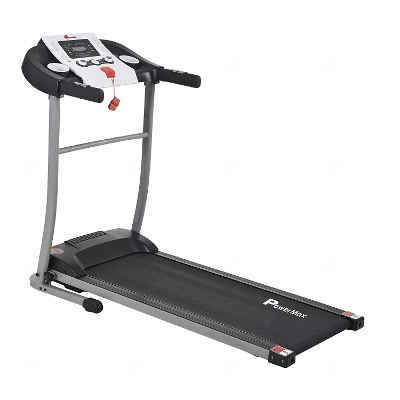 Many good offers are available for Treadmills from top online stores in India. Interesting fact is that, your product will be delivered from a local sports store itself. Based on your choice of model and brand, heavy fitness equipment will be delivered from nearest distributor of the same product. This is a manual machine which can be used for both walking & running. You can also do walking Lunges, walking Plank etc. Inclination Level is two. it can support maximum weight of 120 Kg. This one is another foldable & Manual Treadmill. It comes with electronic Display, using which you can monitor speed, time, distance covered, calories burned etc. This motorised machine comes with lifetime warrenty & LED display using which you can track speed, time, distance, calories burned and heart rate. You can use preprogrammed workouts in this machine for better results. Limitation is that, it can hold maximum of 65 kg weight while running and 90 kg for walking. This motorised treadmill machine which can hold a maximum weight of 100Kg. And comes with and LCD computer display using which you can track time, distance, speed, calories etc. This also includes heart rate monitor using your thump impression on its sensor. This machine comes with all premium features like, LCD display, heart rate monitor, Mp3 speakers and more. This machine with vertical hydraulic system also comes with all premium features like Speed, Time, Distance, Calories, Heart Rate Pulse, Incline Level, Preset Program etc. Machines from Cockato, Nordictrack, Energie Fitness etc are also worth considering.